Are you looking for study aids designed to speed up your learning? Here they are waiting for you! 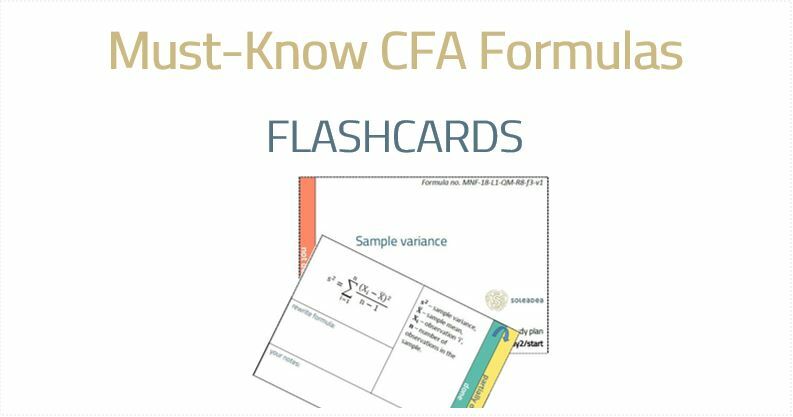 CFA study materials in the form of handy e-books and flashcards dedicated to concrete areas of CFA study content such as formulas, definitions or accounting standards. It’s an easy way to actively develop the specific skills you need. You can print them out. The e-books and flashcards are great for conventional studying. Keep the printouts close at hand and use them whenever you want or need. While making your exam prep easier, you can also be a helper to others . Share these e-books and flash cards with your friends and colleagues – ‘cos everybody deserves a smooth prep. 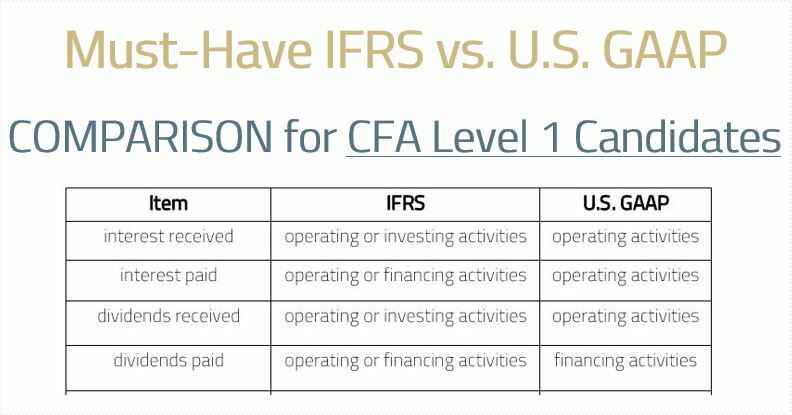 You'll find more than 400 CFA formulas in your level 1 or level 2 curriculum. However, not all formulas are made equal. There are more important and less important ones. 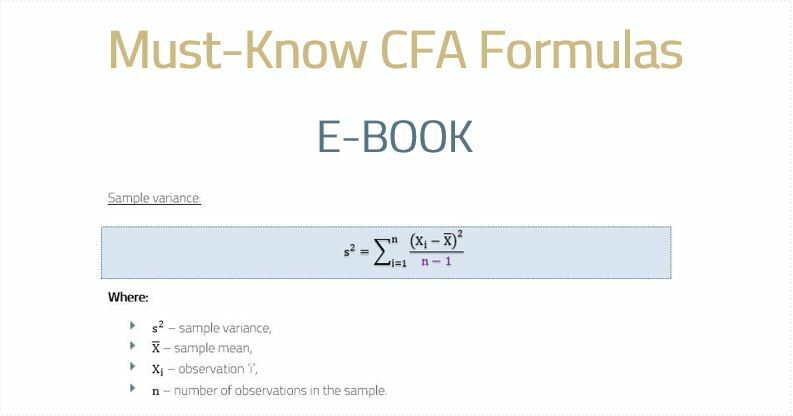 In our e-books and flashcards, you'll find the most important CFA formulas from your CFA curriculum. How to acquire CFA formulas? use the small-steps approach: obviously you can’t learn 200 formulas overnight, but what you can do is learn 4 formulas a day over 50 days – it’s achievable with relatively little effort. apply active learning techniques, e.g. write formulas down on a piece of paper or in a specially dedicated space on our flashcards, create your own flashcards to use for review, do exam-type computing questions. Around 20% of CFA exam questions relate to different definitions and terms. 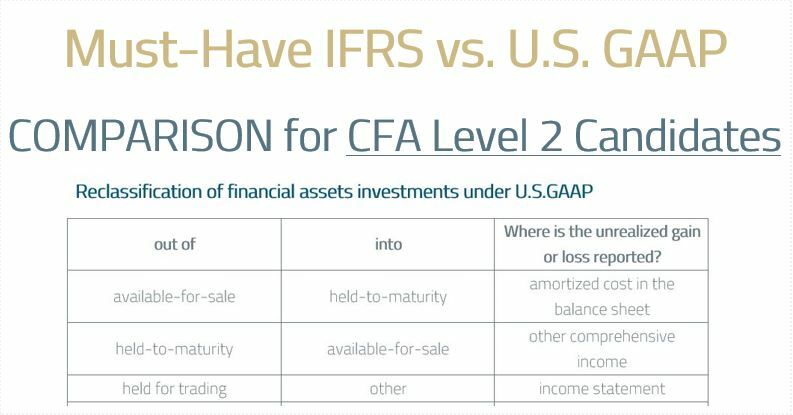 On average, 25% of Financial Reporting and Analysis questions in level 1 and even 30% in level 2 test you on the differences between IFRS and U.S. GAAP. So many CFA candidates get to know their approved financial calculator over the last weeks before the exam. It’s so unreasonable when you take into account how much your score on the exam depends on your calculator literacy. Don’t be one of them. It would be best if you used your calculator regularly during your whole exam prep, ideally from its very beginning. 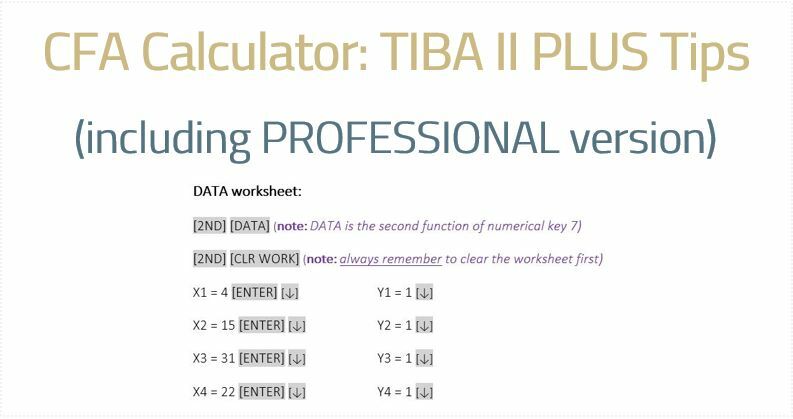 While doing practice questions, don’t use Excel or other tools – just use your approved CFA calculator. Firstly, you save much time: you can recall the values whenever necessary without the need to note them down and then input them to your calculator. Moreover, it eliminates a possible mistake of putting down a wrong value or, the other way round, entering a different value than the one you jotted down. We all live in a busy world these days, CFA candidates being no exception here. Taking a shortcut while studying is what you need when preparing for your exam. We believe we can help you in this respect. 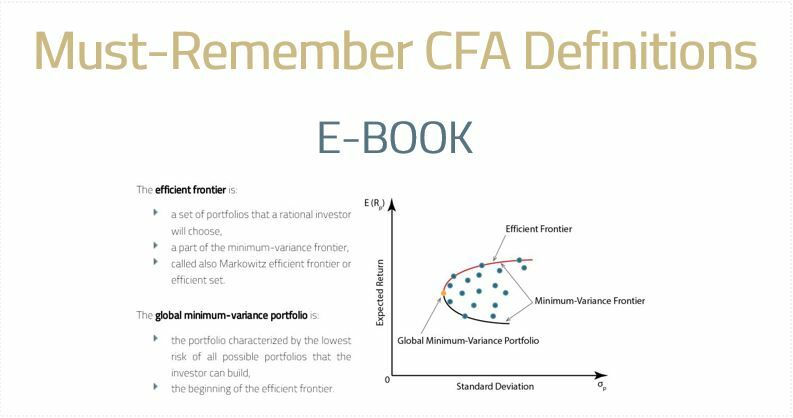 That is why we not only give you these affordable & compact CFA study materials but we also notify you about any updates, new releases, or promos we may have for you. Please note that by leaving your e-mail address during the purchase you agree to receive messages about any updates, new releases, or promos sent in hopes of facilitating your exam prep. WE RESPECT YOUR PRIVACY! If you do not want to receive any further updates, new releases, or promos, you can easily unsubscribe anytime you get such a message . Analyst Guide was set up for busy CFA candidates to facilitate their exam preparation wherever it can be made easier. It is powered by Soleadea – supporter and leader of successful CFA exam prep with study planning lying at the heart of it. See what else Soleadea can do for you control your exam preparation with your free personalized study plan here .